This original, high-quality, black ink cartridge is designed for the HP Deskjet D4260, Officejet J5780 and Photosmart C4280.You can print up to 200 pages at 5% coverage. For shipping to other EU countries visit this page HP CB335EE No. 350. Für Versand nach Deutschland, besuchen Sie bitte HP CB335EE Nr. 350. Chcete doručit zboží do Česka? 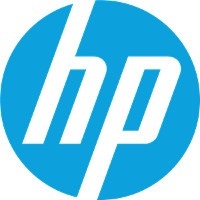 Prohlédněte si HP CB335EE č. 350 černá. Chcete doručiť tovar na Slovensko? Prezrite si HP CB335EE č. 350. Für Versand nach Österreich, besuchen Sie bitte HP CB335EE Nr. 350. Magyarországra történő kiszállításért tekintse meg ezt a termékoldalt: HP 350 (CB335EE).